I have put together a list of what you should be on the lookout for when building or buying your Graphic Design Computer and Workstation that will be your workhorse of creative endeavors in the years to come. Now, to some, the Computer might just be a black or gray box, or sometimes a Monitor with some magic built in, but every Computer on the inside consists of the same type of very specific parts, that we will now take a look at and see what hardware is relevant for what type of Graphic Design work. For those of you just looking for great Graphics Design Computer Parts Lists, feel free to skip to the end of the article. Opening the case of a Computer and looking inside, what you will usually notice right away, is the cooling solution on top of the CPU (Central processing unit) also called the Processor. Change a color, draw a line, process keystrokes, open a menu – all that will put the CPU to work, which will then return a result: An open menu, a new color, a finished line or a word that you typed. There are two main ways a Modern Processor goes about its tasks: It can either work them off one at a time after one another or more simultaneously on several so-called CPU Cores at the same time. Many at the same time, sounds like it would be much faster, but the problem with having lots of cores is, that the more Cores a CPU has the slower the individual cores are usually clocked. Let’s look at an example: A Single-Core CPU that clocks at 5 GHz would be roughly the same speed as a Dual-Core CPU that clocks at 2,5 GHz. Well, then let’s just get a CPU with the highest core clock and as many cores as possible and all should be great, right? Unfortunately, since most Software makes heavy use of single Cores and isn’t coded in a way to be able to handle lots of Cores, we should be leaning towards high Core clock and not lots of Cores. In other words, a 4-Core 5 GHz CPU would be much faster for your Graphic Design needs than a 32 core 2 GHz CPU. Intel i7 8700k has a 3,7 GHz base and 4,7 GHz Turbo Boost Clock with 6 Cores. I’d recommend going with the Intel i7 8700k for heavily single Core optimized tasks such as Photoshop, InDesign, Illustrator, and to go with the 2700x AMD Ryzen when you plan on also doing more multi-core optimize tasks such as rendering or Video-Encoding. Another very important Hardware Component for the Best Computer for Graphic Design would be the RAM or Memory. It caches and holds all kinds of working data at the ready for the CPU to work on. Basically everything you are currently working on should nicely fit into your Memory, otherwise, the system speed will crawl to a halt. If your working files don’t fit into your RAM, the system starts swapping these files to disc and the hard disc or your SSD usually is a lot slower than any kind of RAM out there. Your system boots up, usually Windows, and already needs around 4 GB of your RAM just for it to run smoothly. Then you start Photoshop, Illustrator and InDesign, and open some photos, a book your are working on, and some illustrations, and a few seconds later your are already using 8 GB RAM. You might want to have Chrome or another browser open for some music or reference images on websites, and there goes the next GB of RAM. RAM is interesting, it doesn’t really make anything faster when you have enough of it, but it will slow you down without a question if you don’t have enough. So make sure you tend to have a bit too much than too little. For our Best Computer for Graphic Design, I would recommend a minimum of 8 GB of RAM. That might be pushing it a bit though and you will be much happier with 16 GB of RAM, especially if you want to work on more complex projects, have more than one project open at a time or like to keep different software and browsers or email programs open in the background. Current modern RAM is stated as DDR4, and for those of you who want to optimize the RAM speed as much as possible, you should be looking for high Clock Speed and Low CL Latency. So A Corsair DDR4 3200MHz CL15 would be slightly faster than a 2400MHz CL17. Good Memory Modules that I can recommend are the Corsair Vengeance LPX Series. Now the Graphics Card is a hardware component that is responsible for outputting anything to be displayed on any kind of display device, usually a monitor. If you move an image in Photoshop the GPU takes care of displaying that, draw a line, update the Viewport, scroll through pages, this is all done by the GPU. A good thing about Graphic Design is, that there are almost no GPU intensive tasks like there are in 3D Animation, Simulation, GPU Rendering, Video Editing, Encoding or the like. The image manipulations you have in Graphic Design usually don’t need the GPU to update a bunch of hires images at a time, as is often the case in Motion Design or anything that is heavily animated work. You usually work on a single image or canvas that nicely fits into your system RAM and Graphics Card Video RAM (VRAM). For our Best Computer for Graphic Design therefore, the GPU is a hardware part that you can save some money on without trading too much or any performance. Your Viewport will still be snappy and smooth. As a minimum for serious Graphic Designers, I recommend an Nvidia GTX 1050 or better a GTX 1060 which will keep your PC performing well for a long time. Now there is one big BUT that I will mention before we can continue on. If you are serious about accurate colors, are color grading, or do lots of color setup and color grading for print and the like, then you might want a good and expensive monitor that can display a wide range of colors in a range of 10bit or higher. The bad thing about GTX graphics cards (as in the NVIDIA GTX 1050) is, that they don’t display more than 8bits of color. If this is something you can’t live without as can be quite common in the Graphic Design world, you will have to go for an NVIDIA Quadro Workstation Graphics Card, that are quite a bit more expensive but enable you to use these kinds of features. Let’s talk about storage. Print resolution images, raw images, huge illustrations and books with hundreds of pages and graphics embedded in them need lots of space. The project files are often very large and can get into the gigabytes fairly quickly, so you will want to get a decent hard drive to store all your files. Back in the old days, the HDDs (Hard Disc Drives) were the way to go, using moving parts and magnetism to read and write data, but these kinds of storage devices have now been overtaken in almost all areas by the new SSDs or Solid State Drives. Solid State Drives have no moving parts anymore and kind of work like flash memory cards or USB memory sticks, just a bit larger and much, much faster. Speed is actually the greatest part about SSDs. They are a multitude faster than hard drives. HDDs might still be cheaper in terms of cost per gigabyte, but SSDs are faster and better in every other aspect. They are smaller, shock resistant, have longer durability, have faster read and write speeds in all kinds of workloads and consume less power. For your Best Computer for Graphic Design, you should get an SSD with at least 500 GB to get you started. You can always get another or switch to a bigger one if you run into space problems. I can recommend a Samsung 860 EVO 500 GB SATA SSD. That said though, there is something even better in the storage department, even faster than SATA SSDs: The PCI-E (M.2) NVME SSDs. PCI Express non-volatile memory-express Solid State Drives. This sure is a fancy long name but the features deserve it. 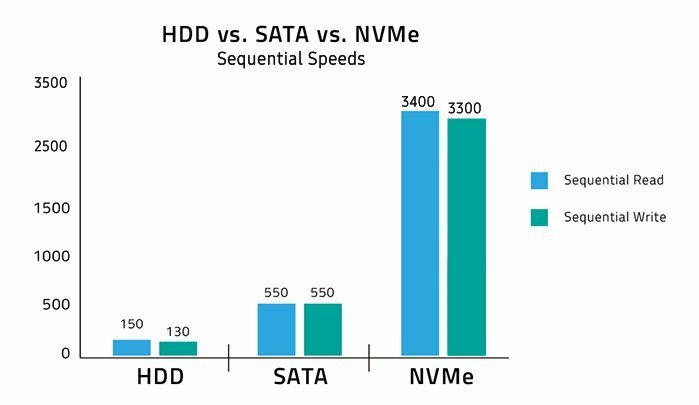 NVMe SSDs are about 5 times faster than normal SSDs in sequential read and write performance and usually about twice as fast in other more random workloads. They are still twice as expensive as normal SATA SSDs but if you work with large project files within the gigabytes more often, a M.2 PCIe NVMe SSD will be a time saver. For a PCI-E NVMe SSD, I recommend a Samsung 970 EVO M.2 500 GB drive. The Mainboard is usually the tricky part as it has to fit all of the other parts that are supposed to go onto it. The CPU has a certain socket type that the Mainboard has to have as well. An i7 8700k, for example, will have an LGA 1151 socket, and an AMD Ryzen 2700x will need a mainboard with an AM4 socket. Some mainboard features that you might find handy usually are an inbuilt WiFi chip or card, a LAN port for connecting to your router with a network cable, a sound chip and lots of USB plugs for your input devices, external drives and USB sticks that you might use. Having multiple PCI-E Slots for GPUs or any other cards usually shouldn’t concern you all that much for solely building the Best Computer for Graphic Design, but if you are planning on Gaming or using 3D Software for GPU rendering, you might want to consider it having more than one. I put together some Computer Build Recommendations down below for you to take a look at, that will work well, in case you are not familiar enough with mainboard features and sockets to pick one out for yourself. New Technology changes so fast and hardware such as the CPU or GPU will be overtaken by new tech within a year at the latest. 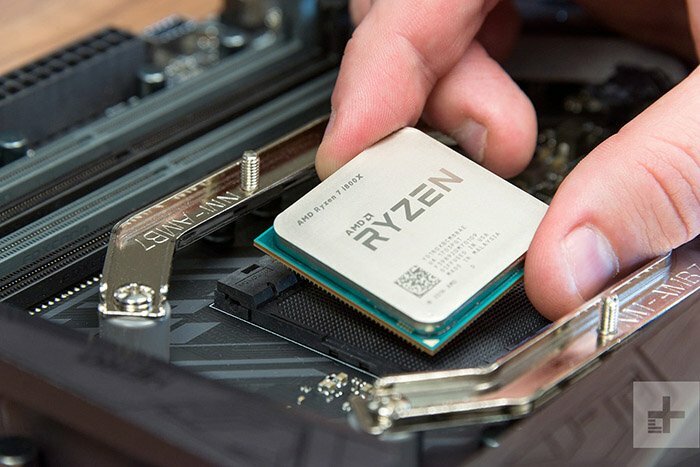 AMD CPUs such as the Ryzen or Threadripper on AM4 and TR4 sockets usually can be upgraded to the next few CPU releases without having to buy a new mainboard. Intel usually likes to break compatibility quite fast and its 1151 socket has been around for quite a while now so expect having to buy a new Mainboard for future Intel CPU generations. RAM can usually be updated quite easily, either by swapping out with bigger sizes or can be added to if you still have some slots free. Beware though that sometimes, even though you add the exact same type of ram speed and size to your already existing RAM, there might occur some incompatibility issues that can lead to instabilities as reported by some users. It seems to be best to always get a complete RAM Kit in the final size and not two or more individual kits that will be combined to a total amount of RAM. GPUs run on the PCI-E socket and can be swapped out usually without any problem unless you get an extremely new GPU that absolutely requires a new PCI-E Version, though this is almost impossible to happen, as PCI-E is backward compatible. You should only be aware of how much power your PSU delivers, how much your overall system needs and if the new or additional GPU will draw too much if you decide to change to a new one or add a second graphics card to your setup. There is a huge price stretch when it comes to monitors. You can get a 24” Full HD monitor for 150 bucks or a seemingly same monitor for 1500$. Hows that? Certainly, some of the reasons are the brand, additional features, pivot, design and so on, but the main reason between really expensive monitors and cheaper monitors has everything to do with how colors are displayed. The panel that is used in expensive monitors usually has a greater color range, better contrast, higher bit depth, blacker blacks, and brighter whites. As mentioned in the GPU section though, you will need a more expensive Workstation Graphics card to make use of 10bits or higher color ranges in monitors. Now it is quite difficult to recommend a monitor as there are so many different use cases. You should think about what you do in a typical Graphic Design day. If it has lots to do with how accurate colors look if you are color grading a TV spot or adjusting colors for a print magazine, then, by all means, be sure to get a good monitor, not necessarily expensive, but good. If your budget is tight, consider getting a smaller Reference Monitor for proofing your colors on and a larger but cheaper monitor for actively working on in your programs. Now to complete this Best Computer for Graphic Design you will need some more parts such as the PSU. The PSU is the power source of a Computer and you’ll have to make sure it can provide enough watts for the computer to run stably even under full load. You can check your power needs with this watt calculator. Depending on the CPU you get, you well need a CPU cooler. The AMD Ryzen CPUs already come with a CPU cooler, but you will need to get an additional processor cooling solution for Intel CPUs. A good pick here is the BeQuiet Dark Rock 3 that I can recommend and have used several times myself. Noctua is a great go-to Brand for Cooling Solutions as well. If you are looking at building the Computer yourself completely or just want to inform yourself about the different hardware parts necessary for building a Computer for Graphic Design use, it is good to know what kind of enclosures there are currently on the market. The most common one would be the tower case that will nicely fit all of the above-noted hardware within and can be populated with all Standard off the shelf Hardware. These Tower Cases come in different sizes, materials, designs, and colors depending on your wishes. Then there are computers that are built into a monitor itself such as the Microsoft Surface Studio or the Apple I-Mac or new Mac Pro. Beware though that these kinds of ready to go computers won’t have the upgrade possibilities as a tower computer, especially because there is usually now way you can open and fiddle with the insides of such a computer on your own, also the parts used in such Pre-Built Computers are non-Standard. The price of such computers usually is crazy high compared to a self-built tower solution. Input devices will be my last point on this list, but they are very important and can make or break an effective workflow. Some people like to use the mouse and keyboard, a pen and Touchscreen or the tablet and pen. If you haven’t already figured out your preferred input device, it is wise to do a test run or borrow some devices from friends to get a feel of what type of input device fits you best and makes you the fastest. That was quite a long list, let’s take a look at some hardware combinations that will fit the best Computer for Graphic Design into your price budgets. That’s about it! Let me know in the comments if you have any questions or need some build advice. I agree, more RAM can definitely help in many Applications, especially now that it has become so cheap once again. I’m planning to build a PC for one of my friends who uses 3ds max, autocad, adobe illustrator and so on for working, he’s an architect. I’m aware he uses some lighting effects oriented program but I can’t recall the name, i’m sorry. This is what we’ve seen to get so far, do you think we can make a better purchase changing any of the components price/performance wise? I’ll wait for your response, I’d love to know what you think. Thanks in advance for your help and thank you for sharing all this info. I look forward to get your opinion. Maybe AMD Ryzen CPUs would work better with the apps he uses? The other components look great, no issues there. Unless he is using Solidworks, I’d recommend going the RTX route, as this cards overall performance is better than the Quadro P2000. I’m looking to build our next computer for my print business. I’m looking to build something along the line he’s of the $1000 build you have here, but would like to go with a mini itx possibly due to limited desk space. What changes would I need to make? There are three things you would have to adapt. First of course is pick a Case that is ITX. Then choose a ITX PSU and Mainboard. Also, the GPU might have to be smaller, but you would have to see what size the ITX Case has that you pick. Any recommendation on the mainboard and PSU? I already have a GTX 1080 Mini at home that I can use and been eyeing a few of cases, that Fractal one being one of those. I really found this article quite interesting and quite informative. I’m presently trying to safe up on buying all the parts need to build my first PC build and to be honest I have no Idea what I should get. I want a PC For Digital art, Gaming, and streaming if possible but like I mentioned I’m quite troubled by the fact that I have no idea where to start and would like you opinion and some tips on what would be good for my first pc and where and how to start please. At current I have a pro surface 3 and do all my digital art on it but it getting really old and has finally started to show problems my current limit is 1000. thank you for you time. If you have more questions on the build or so, feel free to post back here. I enjoyed studying this article. I’m presently undergoing a training in the use of Corel draw, Photoshop, indesign, illustrator and fireworks as I intend building a career in the field of graphic design. However I am more interested in purchasing a laptop rather than a desktop because where I’m from (Nigeria) power supply is often interrupted and can last for days! Dependence on power generators is extremely costly to afford, so I’d need to leverage on the rechargeable capabilities of a laptop for my work sessions when there is power failure! Please what laptop computers would you recommend I go for, especially laptops that still meet up with the specifications of the above PC’s you listed as required for optimized graphic design work. Thank you for what you are doing, well done i’m expecting your urgent feedback. Thanks a bunch for your assistance, I checked the link you sent me, saw a variety of well suited options. Nvidia 560M graphic card 2GB. I’d pursue getting one of those you recommend as soon as I lay hands on more cash. Thank you for this article. I recently got laid off and returned to school to further my career path. However, in my spare time, I’ve always used photoshop (my previous major being graphic design). I was wondering you could me figure out what I need to buy since all my computers are too old now. The less expensive the better. I use photoshop and illustrator, I want to be able to print them large. I would also need to use the computer for programs like word. I have no idea how to build a comouter but I would invest more money into a build if I knew I could upgrade it so I could use it for another decade without having to buy an entire new system. I wouldn’t need to save too much on the actual computer since I have external hard drives to save my work. Would you please help me? I would appreciate it so much. Just select Graphic Design or Photo Editing, input your budget and press build. That is pretty much what components you should be looking for. Does it come with an instruction manual? Lol. Or do I just find a company that can build it with the pieces I buy? I usually recommend to build yourself, as this is not very complicated and saves you lots of money. If this is not something you would like to do yourself, then you should probably look at pre-built pcs that are already assembled. I’ll have to write an article on that, but for now you might just want to go check amazon or newegg for pre-built pcs with similar parts of what is recommended in this tool. Hi Alex, Thank you so much for the information. I think in addition to what you have mentioned It may depend on the graphic design you do or the files sizes you need to manipulate. I’m having real problems with my system and our IT person has tried everything. I don’t think our system configuration works for the kind of graphic design we do. We could sure use your input. I design graphics for exhibits so it is not uncommon for me to be using Photoshop and InDesign or Photoshop and Illustrator concurrently on graphics that are to be produced at 48” x 96” @ 300 dpi. The files sizes I work with are well over 2 Gigabyte with some large format wall display graphics reaching 3.5 Gigabyte. Every time I save an Illustrator file the screen goes black until the file is saved. This can take up to a minute. In addition, there is a lag time when I’m typing text in Adobe Illustrator, often as much as 5 to 10 seconds before the text shows on the screen. The computer takes several seconds to acknowledge a mouse click. With a 200 MB file this machine should be screaming fast and it is dead-dog-slow! Based upon your knowledge would you look at our system to see if there are any clues as to why we are having so many problems. Our IT person has tried everything and now we are considering a new system. We need to make sure we get it right this time. Unfortunately almost all of the parts you listed won’t be enough for your kind of workloads. You have a rather low clocking cpu, a quite slow graphics card and a pretty slow HardDrive. – SSD, get an SSD preferably an nvme ssd. They are a multitude faster than HDDs. There are no such things a gaming gpus. You can pretty much game on all gpus, they are just branded as such. Graphic designers need “gaming” gpus, as all other gpus such as quadros are way too expensive and don’t offer any more performance. Hi Alex, thanks for the great knowledge you shared on the article. I want your suggestion on the PC build that I made for my girlfriend. Her budget is somewhere around 1800$, Originally planned to get 2017 iMac not pro which had 5k display. She liked mac because of the beautiful screen and stylish physical appearance. She’s now open for building a PC & just plug it with a good monitor. Primary usage would be with photoshop (digital painting, comic, prints), a little Illustrator & Clip studio paint. Maybe heading towards simple 3d or video work ahead. Thats a solid build! The great thing about the current AM4 Platform is, that you will be able to upgrade it for at least another generation. Just drop in a new cpu and you are good to go. Parts look great and will work fine together! Hello Alex, thank you for your valuable article about building your own computer. I’m a graphic designer and I’m working in Photoshop along with Illustrator and Sketch. Sometimes I also need to work in Adobe Animate. I also want to learn in AE in the future . I really would not like to have some laggin or freezing in work. And I would like to computer look visually well….. In top-end GPUs there is almost no difference in performance. As soon as you have a good enough gpu such as the 1070 upwards, the Performance stays pretty much the same. On the AMD side, the Radeon Vega 56 seems to be the sweet spot. You might have some problems with an RX560. That said, having a high clocking CPU such as the i9 9900K or the 2700X that you picked, is much more important than an etremely high-end gpu, but the GPU should also not be too low-end or it will start bottlenecking. Hello Alex, I thank you a lot for all your tips! I’m an architect and I’m searching for a new pc that answers to my working necessities. Your advises cleared my mind and now I have one left question: where can I find a pc to buy that have the characteristics I have choosen? Let make myself clear: the brand’s sites have already them configuration done. So, where can I go to find the ‘ideal’ pc for me? If you don’t want to build your PC yourself, you can always buy the parts and have them pre-assembled before shipping. Most Online Hardware Retailers offer this option, such as Newegg in the US. If you don’t want to pick the parts individually, but would like a pre-built finished PC, companies such as pugetsystems, alienware, hp, dell come to mind, though of course buying pre-built is a good 30% more expensive than building yourself. Hi Alex, thanks for a great site. I’m gathering a list for a new build for Graphic Design (InDesign, Photohop, VERY complex Illustrator files). This has been really helpful because I get out of the loop on the latest technology since I only refresh my build every 4 or 5 years. I’m cranking the budget all the way up on this, since I can expense it so money is no object. My biggest concern is noise–I try always to get as close to silent as possible. My research so far has shown that the “be quiet!” cases rank way up there so I’m ordering a Silent Base 800. How else should I modify this list to get as silent as possible? One more thing: I was going to go with your recommendation for the Samsung 970 EVO 1TB but I’m a bit confused about the different types of SSD formats. The pictures make the 970 look like just a chip with no enclosure–is that correct for a desktop PC? I’ve only always seen them like the 860 I’ve chosen here with (what looks like) an enclosure. Thanks so much again for any feedback you care to offer. The bequiet 800 is an excellent case, good choice. Actually, with the parts you picked and set up correctly, your PC will be absolutely silent, unless you stick your head right next to it. I have my active projects on a fast ssd, and when I am done with the client for a while I move the files to my backup HDDs. These HDDs though I only turn on for backuping purposes. That way I always have enough room on my fast SSDs (that are comparatively small) and have a redundant HDD Backup, that doesn’t always run and make noise. If I were you I’d also go get a nvme SSD instead of (or in addition) to your 860 that you already picked. Samsung 970 Evo comes to mind here. These give you a nice performance boost over regular sata ssds. The new nvme SSDs are plugged right into the Motherbaord, no cables needed, like with a gpu or cpu. The board you picked has two of these slots that you can use. Easy as that! The most important thing in having a silent PC is setting up the Fan Curves corretly. Either in the BIOS or with a fan tool. Set the Fan Curves to a silent mode, and in Idle or light work they will either almost not turn at all or so slowly that they are not heard. Thanks Alex, this is great advice. I will definitely go with the EVO 970. Unfortunately, I have to have the internal always-on storage because my work is constantly syncing to a secure cloud I must remain connected to at all times. I’m using Clip Studio Paint EX, Photoshop 6 and every now and then Corel Draw X6 for Illustrations, Photo editing and Matte Painting. My standard Canvas Size for Illustrations is normally A3 @300dpi (partly with lots of layers…), but in rare cases it goes up really big. The biggest one was a work with 360 x 235 cm for a Factory Building. Currently i’m using an 6 Core i7-4930k, 32 gig ram, a GTX 1070 and 2 SSDs for OS, the Progs and Virtual Memory. Looks not that bad, i think, but it’s a multipurpose PC. It runs on Win 10 Dualboot for Waifu and me, lots of Games on it too and blahblahblah… Long Story short – it’s a waste disposal site and i need a little sweety for my work only. It will give you a nice performance boost over your current build. Though your current build is not too bad! Might want to think about upgrading to 64GB of RAM if you absolutely want to and have the money, but 32GB should usually suffice. How are you fairing currently with the large projects and 32GB? Uhm, 32 gig RAM should be okay. What a great post! Wonderful read. Thanks so much for writing it. I’m looking to get a new rig myself and could use some advice. In all honesty, I find it still not very great despite the hefty price tag. The biggest lags are when using Adobe InDesign in High Resolution mode. It chugs pretty heavily when scrolling. Do you have any other recommendations for a high end machine for me? Almost ALL of my work is within Indesign, Illustrator, and Photoshop. I work mainly on print projects at 300 DPI (Board Games for the most part). Should I be considering a better processor like a Threadripper or Xeon? Is any RAM fine, or should I look for specific things? You are off to a very good start already! Definitely go i9 9900K and not Threadripper or XEON. The reason is, that although Threadrippers and XEON (or Intels i9 9xxx-X series cpus) have lots of cores BUT lower clock speeds. And in Indesign, AI, PS you most definitely rely on single core high core clock performance, so the i9 9900K is the best CPU (although not the most expensive by far) you can get for this purpose. NVME SSD is very important too, yes. What brand are you looking at? I can recommend Samsung 970 EVO or PRO Series as these are unmatched in performance. HDD Storage: Be sure that this is not your active drive but utilized more in a backup / archive manner. Your active projects should always be on your fastest drive. As should your Programs and OS. You can set up different partitions if you only have one fast drive, say 250 gb for os and apps and the rest for your active projects, then backup them onto your HDD if no longer needed. Video Card: Not sure from your comment if the GPU is residing in its external case plgged into the pc or will then actually be inside the PC on the mainboard? You will have much better performance having an internal GPU and not an external one attached to the PC. 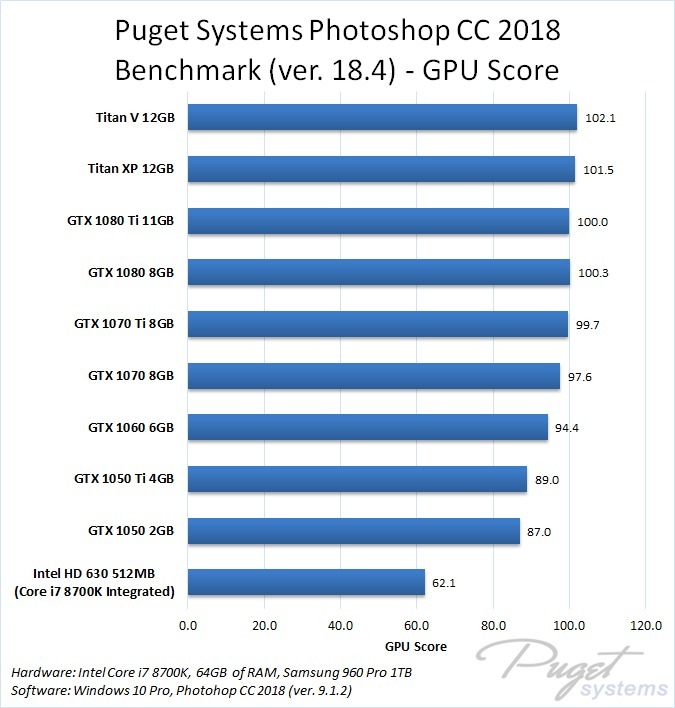 Adobe Programs seem to fare better with Nvidia GPUs, so just in case you have the cash for getting a new GPU, it might be worth the performance increase. Nvidia GTX 1060, RTX 2070, or higher come to mind although an RX Vega 64 of course already is an excellent GPU, but might be bottlenecked in an external case. Thanks for the UBER quick reply, Alex! For the video card, rather than fork out the dough right now for an Nvidia card, I was going to remove my RX Vega 64 from my GPU chassis and use it as an internal card in this new system. Later on, I may swap it out with a 2070 or something else. They’re just too pricey right now for what they are (Darn crypto miners!!!). Thanks for the great recommendation. I can’t wait to build this! This is the most useful article I have ever come across in the quest for the best recommended specifications concerning Graphic Design work. – First and foremost, what would you recommend modifying/enhancing in the above specifications when taking into account Graphic Design chores, or am I ultimately in the right track with the above configuration? – Secondly, what 24″ Monitor would be recommended from your perspective that will be suitable and in agreement with the above details for Graphic Designers? I’d make sure to use the HDD only for archiving or backuo, and have all your active project files and the OS on the fastest drives possible, though if this is a preconfigured pc I would expect this to already be set up like that. I usually recommend the ASUS PB27UQ or PB278QR Monitors as they are IPS Panel Monitors with good color and contrast specs, but not as expensive as asus proart or other extremely high-end Monitors. I have been using these for some time now and can recomend them without reserve. I will unquestionably take these into consideration as I trust your judgment. I am fairly new to the design world, but have been assigned the task at work. I typically work in the Adobe suite. I have been asked to put together a dream list of specs as I am in line to receive an entirely new setup (pc, dual monitors, etc). In a dream world, what specs would you suggest I ask for? The thing is, even if hypothetically you would have an unlimited budget, the most expensive pc isnt the best for you. In Graphic Design and especially the Adobe Suite, having a high core-clock is much more important than having lots of cores. 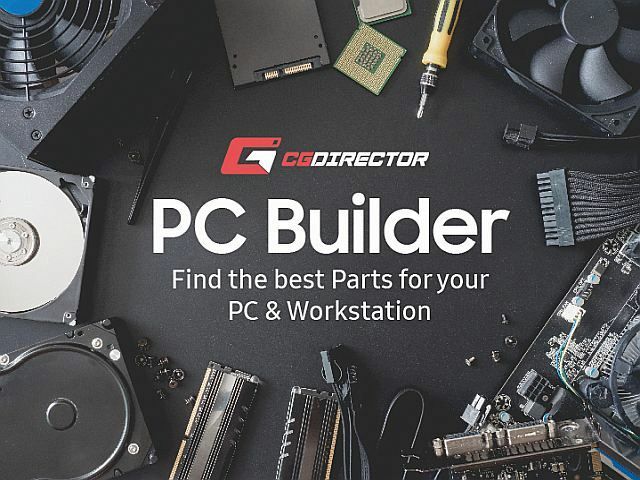 As you can see here in the PC-Builder Tool you should go with a i9 9900K on an lga 1151 Board. Of course if you have money left over you can aleays invest in a bigger m2 ssd, a better gpu, but that will not give you better performance at your adobe tasks. If we wan pc for design which use program like Auto CAD, Photoshop, and use 2 monitors at the same time so can you tell me the best spec for best running, more efficiency and reasonable price (around 600$-1000$)? Almost all modern GPUs can drive more than 2 Monitors simultaneously, so no worries there. Hi Alex, i am a grafic designer too and I am trying to built my pc for gpu rendering in cinema 4d(octane) and adobe (photoshop, illustrator, lightroom, indesign, after effect). The Idee was to put 2 grafic card (gtx 1070ti) with the intel i7 8700k or amd ryzen 7 2700x. The “problem” now comes from the monitor and its color range. could i combine a nvidia quadro p4000 (which supports 10 bits for my monitor) and a gtx 1070ti? How would Windows work? Would Cinema 4d recognize the combination? Thx a lot!! Yes this usually works. You can attach your monitors to the Quadro and run the GTX Card in headless mode (without anything attached). You can then render on both, but the display is driven by the quadro. Hi Alex, thanks for the answer! I only have one 10bits monitor. Could I connect the Quadro graphic card to the 10bits monitor and the GTx card to the other one? In very special cases this works. The thing is, you can only load one Display Driver. So that display driver will have to support both your gpus. If you have an nvidia quadro drive, this driver should also support the gtx card. Then you can hook one monitor up to your quadro and one to your gtx. Hi Alex! Thanks for the link! It sounds a bit complicated. What would better perform ? a Quadro p4000 with 8gb or a Quadro p2000 (5Gb) and a gtx 1070ti (8gb) together? I mostly work in Photoshop, Illustrator, and InDesign, but I also like to dabble in After Effects and Premiere. I want to start learning to work with 3D rendering as well but I bring home the bacon with my typical graphic design work. With the build I am currently looking at I already had most of the components at the quality that you think they should be. The only difference is that I would only be purchasing 16gb of ram vs the 32gb. Will I really be hurting myself if I don’t put up the extra cash for the 32gbs. I also was wondering if you have an opinion on going Intel vs AMD. All of my previous builds have always been Intel, and I am comfortable with them. Recently though I have heard that AMD is the way to go, but those threadrippers are not cheap haha. I am just curious on what your expert opinion is on the battle of the CPUs. I understand that if I plan on using After Effects and premiere that I may want to go with a bigger processor, but I have heard that the Intel® Core™ i7-8700K Processor (6x 3.70GHz/12MB L3 Cache) over clocked at 10% will be more than enough to get me to where I need to go. Do I even need to overclock it? Also is getting the M.2 that much better than the Sata SSD? Those are good specs. 32GB of RAM will help you a lot especially in After Effects and 3D, as these two can eat those Gbytes up in no time. In Illustrator and PS you might get away with 16GB for a while. The RAM prices are currently coming down, so if you are on a budget, waiting for 2-3months could make the difference. Concerning battle of the CPUs, there is no one winner for everything. Intel still leads in core-clock (with i7 and i9), but AMD is the leader in Multi-Core Performance currently (with Ryzen and Threadripper). The i7 8700K is an excellent CPU for active work and a snappy Computer but will be overtaken by AMD if you Render a lot or have to watch your budget. In 3D, that is. If you want to render in After Effects a lot, then a high core-clock cpu such as the 8700K is still better.